Tips for Adding Extra Money in 2018, Bonus Tips and Tricks! Happy New Year! Are you looking to improve your finances this year? Pay off bills? Save money? One way to help do this is to add extra income to your budget. Remember small amounts over time can really add up! One very easy way to do this is to combine the FREE reward and money back apps on your phone or computer. The trick here is to utilize as many of the apps as possible and as often as possible. It's super easy and can help you get some extra money in 2018. If you've been reluctant to trying these apps why not give it a go in the new year. If you take a little time each week to scan your receipts or make your on-line purchases through a website or search for coupons before checking out the money will add up. You'll be pleasantly surprised at the amount you can earn and save by a few simple tasks. After the list of apps I will share my favorite coupon sites as well and my favorite shopping trick for even more savings! Here is a list of my favorite rewards and money back apps. Turn your grocery receipts into rewards! 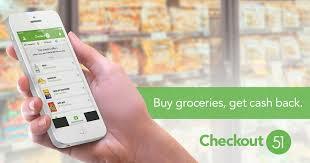 Download the Fetch Rewards app and simply scan your grocery receipt from any grocery, convenience store or club store. Fetch will check every item on your receipt and award you points for purchases. Points are redeemable for a variety of gift cards. This one is super easy. After you scan your receipt you will be contacted with how many points you received and/or if you need to scan a barcode for the item. 2. 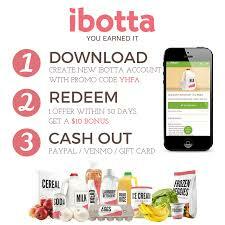 Ibotta: Download the Ibotta app and earn money back on purchases. Simply pick which items you are going to purchase (or did purchase), scan your receipt, scan your barcodes and... bam more money in your pocket! 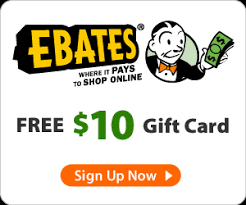 *If you are new to Ibotta hurry and sign up to receive a $10 sign up bonus using this link! * What's better than getting $10 for free!! 3. Checkout 51: This app follows that same idea of Ibotta. Simply pick your offers and scan your receipt. You can cash out once you reach $20. 4. 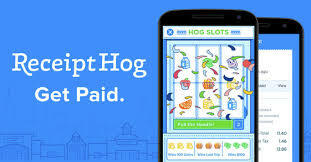 Receipt Hog: This is the easiest cash back app but also has the lowest payout... and depending on how many receipts you scan in could take a while to reach the cash out threshold. Each receipt earns you coins which you can cash out for real money or gift cards. This app allows you to spin a slot machine after each week for a chance to win even more! Again if you're simply looking to add some extra cash it's worth it. 5. 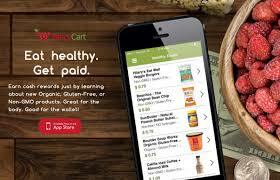 Berry Cart: A cash back mobil rebate app that basically gives you money back when you buy healthy foods that are organic, gluten-free, non-GMO, etc. TIP: Use all 5 apps with every receipt!! Try to do utilize these apps every week and watch your money grow! MY ACCOUNTS: These are the amounts I currently have in each of my accounts (I've recently cashed out before the holidays). This is approximately $70.... $70 from simply scanning receipts!! Can't beat that! Don't forget about the new user bonuses as well! You should ALWAYS check for coupons and sales before you do shopping for anything. You can seriously save tons of money each year if you simply do a quick coupon check before you shop. Some of the above apps even give cash back for shopping at your favorite hobby or clothing stores. Here are great places to find printable coupons and online coupon codes. Shop on-line Using these websites to earn cashback!